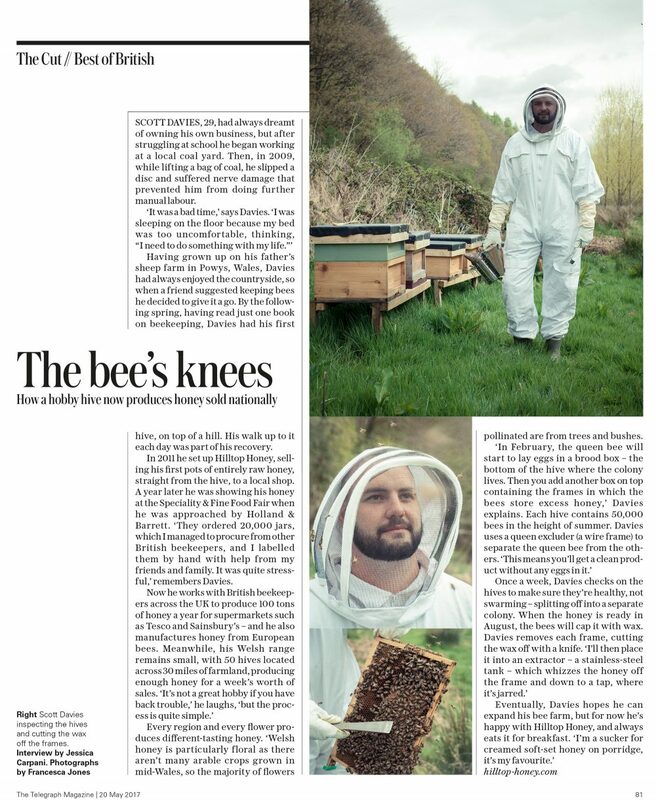 I photographed Scott Davies of Hilltop Honey back in April for the Telegraph magazine. It was really inspiring meeting Scott as he has created a remarkable brand and company in only 6 years having had no prior bee keeping experience. It was quite a fun shoot trying to photograph Scott whilst the bees were attacking my camera ( they dislike black apparently) and during the shoot I kept wishing he’d told me the story about his bee suit once having a rip in it until after they were back in their hives! 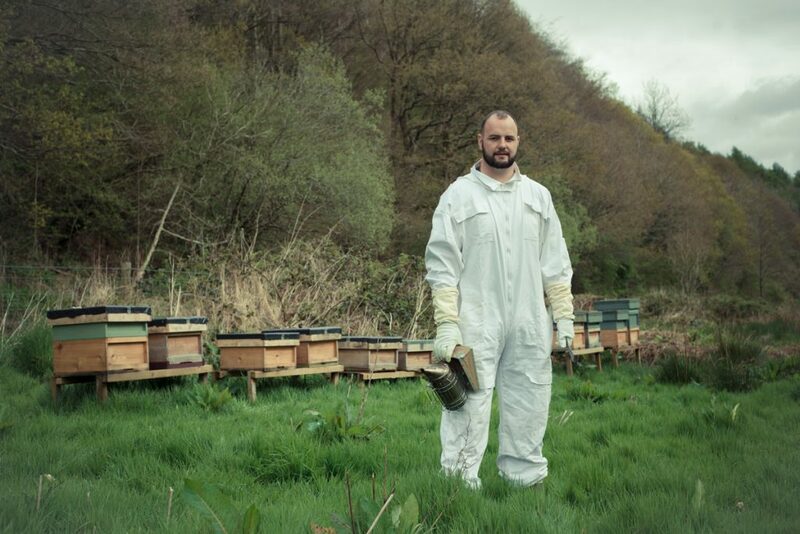 hilltop honey; portraiture; portrait; wales; welsh honey; british honey; raw honey; honeybees; wales; portrait; scott davies; telegraph; portraiture.